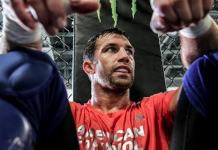 Former UFC and Strikeforce middleweight champion, Luke Rockhold has made it pretty clear who he’s interested in fighting next and has plenty of confidence that he’ll get the job done if he gets it. The second fight went the opposite, as Bisping came in and spoiled Rockhold’s title run with a first-round knockout. 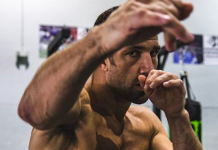 Now with Bisping on the cusp of retirement, Rockhold wants to help send him off and according to him, it looks like the UFC likes the idea of a third fight between the two. 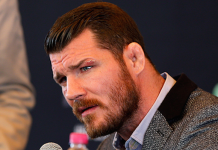 @bisping sign the contract or shut it. Of course, Rockhold’s tweet prompted a response from the Brit, Bisping with a gif attached of him knocking Rockhold out in their UFC 199 rematch. 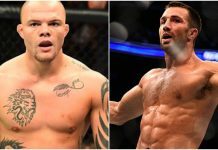 In Bisping’s last tweet, he’s referring to Rockhold’s very vocal interest in moving up to the light heavyweight division and potentially challenging perennial top contender, Alexander Gustafsson. 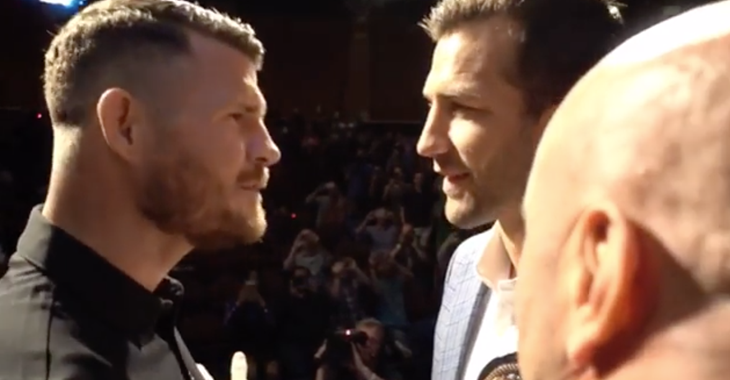 Bisping would then go on to say he hasn’t received any contract that Rockhold speaks of. 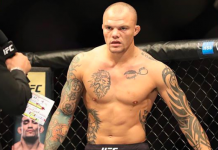 With Bisping likely only fighting once more before retirement, how likely is it that he’ll choose this fight as his last?